Pernigotti Easter Eggs (Italy) is holding a promotional campaign featuring the new Transformers: Robots In Disguise animated series. The promotion will giveaway 100 One-Step Changer figures from the RID toyline and 3 Generations figure sets. 100 One-Step Changers can be won instantly by uncovering a special code inside specially marked Easter Eggs. A final draw will determine who wins one of each Generations line figure sets. More information can be found at the Pernigotti official website. Check em out after the jump! Robots in Disguise Hero Mashers Optimus Prime, Strongarm, Clampdown, Thunderhoof, Bisk and more! TFW2005 member Nevermore has done some sleuthing and uncovered a derth of information on the future of the Transformers Hero Mashers line. The line will carry on for the forseeable future with Robots in Disguise themed releases, starting with the set of Bumblebee, Sideswipe and Steeljaw (who are out in Canada), and then continue with the three we saw at Toy Fair 2015 - Optimus Prime, Strongarm, and Clampdown. There's new images of the latter three, via Hasbro Canada, for you to enjoy. From there Amazon Canada has posted listings of what appears to be six more releases in the line, which will give us Hero Mashers versions of characters like Quillfire, Thunderhoof, Fracture, Bixk (we assume they mean the lobster, Bisk), Jazz, and Drift. It sounds as though the Hero Mashers have a long future ahead of them - and also, that this may be the only way for fans to get versions of some of these characters to add to their collection. We're kicking off our galleries for the toys from the new Robots in Disguise show with a look at one of the guest Autobots - it's time for Drift to take the spotlight! Like his incarnation in Transformers Age of Extinction, this version of Drift is very strongly influenced by the look of Japanese samurai, though unlike the movie version, you can see this Drift's face. Robots in Disguise Drift is a Warrior class figure, transforming between robot and car mode in a handful of fairly simple steps. He's big and chunky, and definitely feels like a throwback to the simpler style of Transformers from the Transformers Armada / Cybertron days. The look is quite streamlined, giving the figure a very "animated" look to him. More new Transformers toys are making their way to US store shelves. Another one that was recently spotted at US retail is the Three Step Optimus Prime from Robots in Disguise. Three Step Optimus is the sole new release in Robots in Disguise Three Step Changers Wave 2, and as the name should make clear, he transforms in three steps. Be sure to keep up to date on what is being found in your area in our Transformers sightings board! We are sad to report that veteran actor Leonard Nimoy has passed away. Leonard Nimoy provided the voices of Sentinel Prime in Transformers Dark of the Moon and Galvatron in Transformers the Movie in 1986, but he will perhaps be best remembered for playing the role of the science officer of the Enterprise, Mr Spock, in Star Trek, in a role that spanned almost 50 years from his debut as the Vulcan in "The Cage" to his final appearance in "Star Trek Into Darkness". On behalf of the site, of fans of science fiction, and anyone who has gazed skywards and imagined traveling the spaceways, we offer our condolences to Mr Nimoy's family, and we also warmly remember one of the greatest men to have graced our screens in both his acting and his voice acting roles. Comic Book Resources have posted a new interview talking about the upcoming Combiner Wars crossover with creators Mairghread Scott and John Barber. Check out the full interview at Comic Book Resources, which includes some spoilers for the background of the crossover event. Ladies and Gents we have our first official retail sightings of Combiner Wars Motormaster. Board members worldsgreatest and RudyWilson have provided picture proof of their purchases with receipt from their local Target stores in Columbia, Maryland and Wheaton, Maryland. As per normal, the coasts get all of the love first, but that just means that Motormaster is out and about and headed your way soon. Be on the lookout as the hunt is on! Be sure to discuss what you find and where on the boards. Play With This Too Kickstarter Now Live! It's finally here, the Kickerstarter for Play With This Too is now live. This Kickstarter is going to be live for the next 30 days and there are multiple pledge levels for everyone to get a chance to help back this project. The figures and the quantity and as well as the bonuses made all depend on support you show. Up Close Look at Combiner Wars Devastator and Leader Class Ultra Magnus! Huge thanks to TFW2005 boards member CautionLowSign for sharing two very cool videos with us. At Toy Fair 2015, Hasbro revealed two big time Transformers: Leader Class Ultra Magnus and Combiner Wars Devastator! We're going to let the videos do the talking, but needless to say this is a great up close look at two figures that will be highly sought after! Check them out below! Fan Built Combiner Poll - First Look at Galvatronus? In addition to the third round of Fan Built Combiner voting opening, the app seems to have also given us our first look at Galvatronus, which has the torso mode of the upcoming Voyager Cyclonus figure. Third and Final Fan Built Combiner Poll Round Now Live - Gender, Personality, Name, and Nemesis! We recently learned that the the Fan Built Combiner would be an Autobot hailing from the Sea of Rust - and now, the third and final round of poll voting has begun! This round is notable for containing the oft-discussed gender option, which had been hinted at by Hasbro previously at Toy Fair and in interviews. And discuss your choices after the jump! Fan Built Bot Poll - First Look at Galvatronus? The Cybertron Phils Facebook page has just given us our first look at the upcoming Platinum Edition Blitzwing & Astrotrain set! 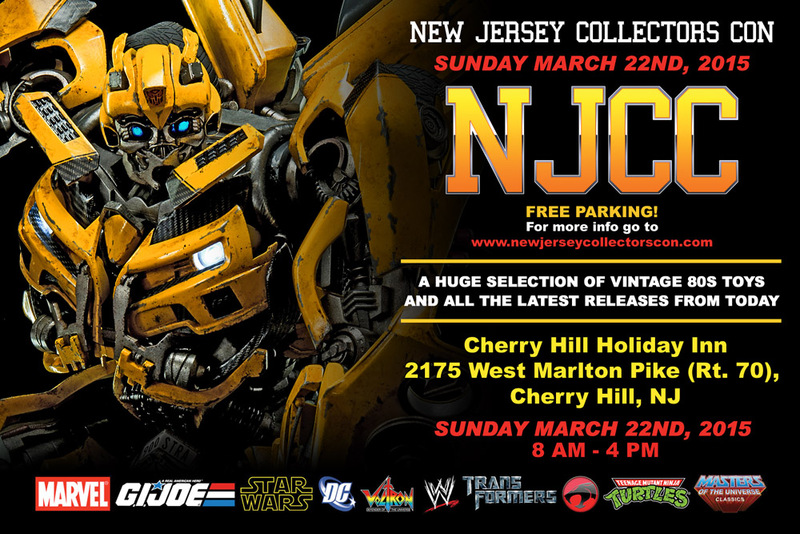 NJCC March 22nd 2015 Door Prize Update Combiner Wars Optimus Prime! New Jersey Collectors Con is proud to announce our next door prize Combiner Wars Optimus Prime! The NJCC Door prize selection is stacked with Fans Toys Scoria, and Make Toys – City Bot Series – MCB-02 Utopia! Thanks to TFW2005 member Nevermore for linking us to new product images of the Robots In Disguise One-Step Changer Drift, Fracture and Thunderhoof. We previously saw photoshopped versions of these figures back at Toy Fair, so these new images are much closer to what can be expected on store shelves. Pre-Registration for the next DeNA Transformers: Legends Team Event; Rules Of Disengagement is now live. Aboard a dimly lit DECEPTICON spacecraft, TARN turns to KAON and asks for a situation update. KAON reports that everything is going to plan, and that they should be close to their targets soon. The leader of the DECEPTICON Justice Division nods, and prepares to set their ship down on planet Clemency. On the surface, BLACK SHADOW seeks refuge in the wrecked hulks left behind from a previous war. On the run for taking bribes from the AUTOBOTS to destroy a fleet of DECEPTICON War Worlds, the Phase Sixer stops and takes a breath inside a ruined ship when he runs across FLYWHEELS and the other Scavengers. As the group finishes their conversation, a crunching noise outside alerts them to the presence of TESARUS, VOS, and the rest of the DJD. Unwilling to roll over and die, FLYWHEELS and BLACK SHADOW draw their weapons and prepare for battle. Will BLACK SHADOW and FLYWHEELS escape the clutches of the DECEPTICON Justice Division? Or will TARN and his deadly crew eliminate their targets with extreme prejudice? Find out on TRANSFORMERS Legends - “Rules of Disengagement”! Reports are coming in from 2005 Board members of a new Rescue Bot toy sighting. Hollywood Hoist reports finding the "New Recruit", Blurr, at his local Wal-Mart in Kent, Washington. Along with Salvage and Hightide, Blurr makes up the new recruits for the Rescue Bots! Be sure to tune into the Discovery Channel this Saturday for a new episode of Rescue Bots and post your toy sightings in our Sightings Forum! The Allspark Almanac is a comprehensive, one-of-a-kind atlas to the amazing 2008 Animated series universe. Giving fans behind-the-scenes secrets directly from the show's creators this volume is packed with full-color bios, character models, episode summaries, interviews, and more. Collects both original volumes into one book!